Bhubaneswar: Retired IAS officer Ashok Kumar Tripathy joined the BJP at the party headquarters here on Saturday. 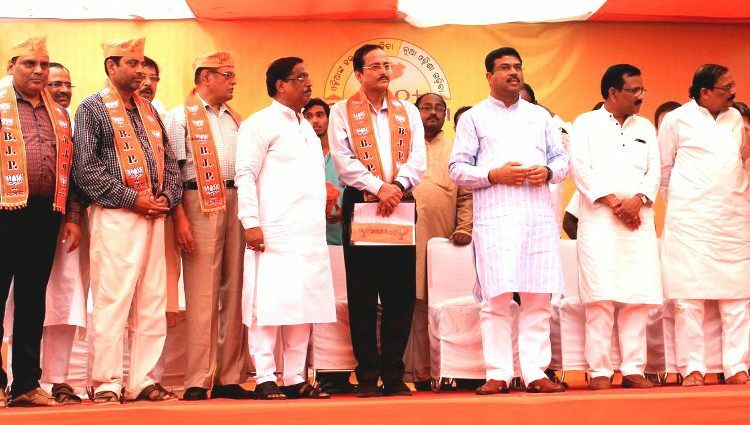 Tripathy, a 1982 batch IAS officer, joined the saffron party along with Dr. Biswanath Patnaik in the presence of Union Minister Dharmendra Pradhan. Many Congress and BJD leaders and workers from Baramba block and Narasinghpur block of Cuttack district also joined. Some opposition party workers from Bhubaneswar also entered the saffron fold. Welcoming them to the party, Pradhan said that the joining of Tripathy, Patnaik and each individual will definitely boost BJP in Odisha.